In 1948, Leibel Posner was about to spend five weeks on the road, traveling throughout the farmlands, towns and cities of New Jersey, Delaware and Pennsylvania. The 19-year-old yeshivah student was instructed to travel on what was then called the “milk train,” which stopped at every local station, where he would disembark to meet Jews in each community, offering Jewish books and subscriptions to Torah literature. At the same time, his elder brother Zalman, together with fellow student Mendel Baumgarten, had been dispatched to Europe to serve the needs of Holocaust survivors and refugees from Stalinist oppression living in displaced-persons camps throughout the continent. Before he left, Posner was granted a private audience with the sixth Lubavitcher Rebbe, Rabbi Yosef Yitzchak Schneersohn, of righteous memory. Ailing and frail, the Rebbe leaned forward in his seat and said, “When you meet another person, make sure that you look for his strong points. At the same time, do not overlook his weak points. The Torah has some large letters and some small letters. Chassidim used to say: we need to see a person’s fine qualities in big letters, and take note of their shortcomings with small letters,” for the sake of helping to correct them. The Rebbe blessed him with success, and Posner set off. It was a summer rite of passage for Chabad-Lubavitch yeshivah students, and a lifeline for small communities and isolated Jews. 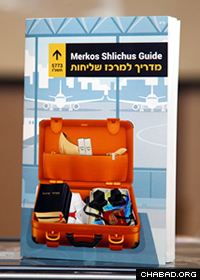 Each summer, pairs of students were dispatched all over the globe by the Rebbe’s son-in-law, Rabbi Menachem M. Schneerson, of righteous memory, with instructions to share Jewish awareness, observance and knowledge. 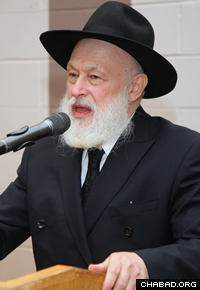 The latter served as chairman of Merkos L’Inyonei Chinuch and subsequently succeeded his father–in-law as the leader of the Chabad-Lubavitch movement. 'Merkos Shlichus' has been a summer rite of passage for Chabad-Lubavitch yeshivah students, and a lifeline for small communities and isolated Jews for decades. In the early years, the Rebbe would personally map out the students’ routes, pointing out far-flung communities with particular needs or requests, and scattered individuals in need of counsel and encouragement. Even decades later, the Rebbe would sometimes deliver a special talk for the students, encouraging them, advising them and blessing them with success as they embarked on their summer mission. Nowadays, even as air travel, GPS navigation and videoconferencing make for a more modern-day experience, the underlying themes of Torah, ahavas Yisrael (love of the Jewish people) and selfless dedication remain the same. This year, some 66 years later, 300 yeshivah students are poised to travel to far-flung destinations like Greece, Nepal and Peru with tefillin, mezuzahs, Jewish supplies and timeless Torah scholarship. Rabbi Moshe Kotlarsky, who directs the program as vice chairman of Merkos, opened the annual training session last week in the Crown Heights neighborhood of Brooklyn, N.Y. He shared details from some of the private talks the Rebbe would have with the students, and introduced a specially prepared clip from a 1970 address by the Rebbe to the Merkos Shlichus emissaries. In it the Rebbe discussed the importance of reaching out to individual Jews, wherever they live, and the responsibility of the emissary to act like a lamp, shining with Torah knowledge and inspiration. Rabbi Yehuda Krinsky, chairman of Merkos, shared personal memories, including his time spent as a Roving Rabbi from 1951 to 1957. He told how young men would sometimes leave with nothing other than a list of cities—no phone numbers, no contacts, just samples of Talks and Tales, Lubavitch’s Yiddish/English periodical. They would sometimes sleep on synagogue pews or floors as they worked their way through rural America. Clearly, the Merkos Shlichus logistics have evolved in many ways since then. Cell phones and email have alleviated much of the isolation, and allow for better planning and coordination. Many students will be based out of Chabad centers—some of which were established on the foundations laid by previous Roving Rabbis. Despite the changes over the years, the students were exhorted to maintain the same rigor as their forebears. 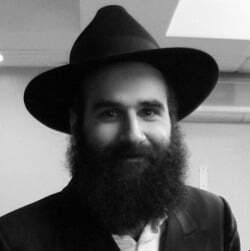 Chabad emissary to Puerto Rico Rabbi Mendel Zarchi, who oversees the Roving Rabbis dispatched regularly to various Caribbean islands, cited the Rebbe’s call to students to take their personal Torah texts with them. He also encouraged the students to write detailed reports on their meetings, reminding them how the Rebbe used to pore over the reports, often following up with letters or telegrams to people the students met. Zarchi was followed by Rabbi Efraim Mintz, who served as a Roving Rabbi in California in 1990. Mintz, who directs the Rohr Jewish Learning Institute, shared tips and advice on honing a Torah “elevator pitch,” as well as ideas about presenting more advanced Torah thoughts on a variety of subjects to share with others during the course of their travels. Kotlarsky noted in his introduction some very important “fringe benefits” for the rabbinical students.